Thanks to congressional intervention, military recruits are going be outfitted in Made-in-the-USA goods right down to their sneakers used for physical fitness training. Some in Congress, concerned about limiting choices for recruits, didn't see the need to disrupt the status quo of the old policy of providing vouchers and letting them purchase sneakers of their choosing. But the changes were adopted in 2017. And last spring, a $17.3 million contract was awarded to New Balance. 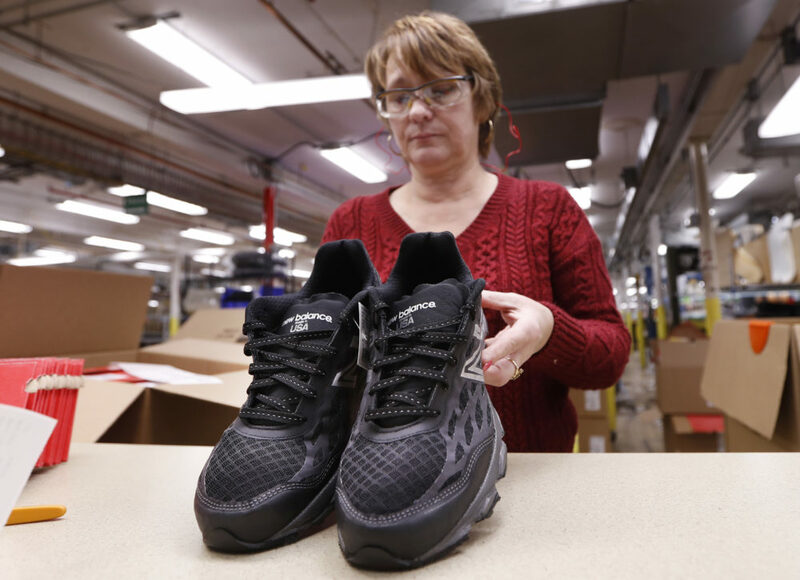 Production of the initial round of 92,000 sneakers is underway at the largest of three New Balance's factories in Maine. The order could be expanded to 248,000. For now, U.S. production of shoes "is just a small, tiny drop in the bucket of what's needed to meet demand," said Matt Priest, CEO of the Footwear Distributors and Retailers of America. But every little bit helps for a domestic industry that is only a shadow of what it once was. Boston-based New Balance's owner, Jim Davis, has made domestic manufacturing a top priority — and it has become a selling point for many customers. The company remains competitive with U.S. production thanks to efficiencies that help to offset higher labor costs in the U.S.
"They have proven there is no challenge American workers cannot meet and have kept the `Made in America' label alive and well," said Republican Sen. Susan Collins, one of the members of Congress who pressed for the Berry Amendment to be applied to athletic trainers. Raye Wentworth, New Balance's plant manager in Norridgewock, said it feels to her that New Balance and L.L. Bean, which makes 700,000 pairs of boots in Maine, have created some optimism and could become an inspiration for other manufacturers. "It feels like it's coming back," she said. "I think it's companies like New Balance that prove that you can do it."